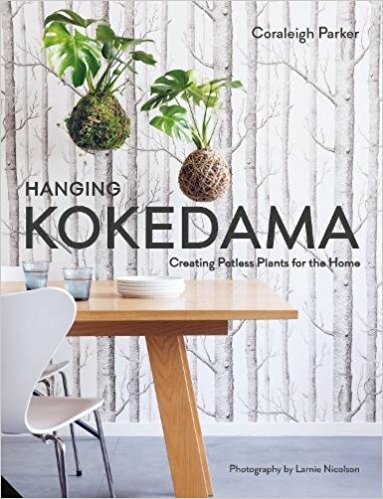 Hanging Kokedama: Potless Plants contains instructions for 25 beautiful Kokedamas. The book includes orchids, cacti, ferns, bulbs, herbs and even trees. Kokedamas are created by removing the plant’s pot and replacing it with moss tied with string or wire into a ball shape. The instructions are clear. The book gently teaches the necessary skills by beginning with the easier plants. There are excellent watering tips too for each plant type. Great choice for the DIYer who enjoys a minimalist (think Ikea) perspective. 5 stars! Thanks to the publisher, Jacqui Small Pub, and Edelweiss+ for a copy.